Residents of Srinagar and other parts of Kashmir are keeping a close watch on the Jhelum after the administration sounded a flood alert on Wednesday night. With incessant rains lashing the Valley, the Jhelum has crossed the danger mark in Anantnag and Pulwama districts. People are spending sleepless nights in Srinagar as they are worried that sudden flooding could leave them stranded in their homes, like it did during the flood in September 2014. This is the fourth flood alert issued by the administration since then. He questions the authority’s inaction regarding precautionary measures, but officials confirm the situation is under control. Several thousands of those affected by last year’s flood are still living in temporary shelters, with little money or means to get back to normal life. Naseem Begum in Palhalan Ghat Pattan village of Baramulla district was blessed with a baby on March 20 this year. More than celebrations the occasion triggered worry. Her family of five has been living in a 10x10 m tin shed since the flood in September 2014 washed away their two-storey house. During pregnancy her baby was safe from cold in the womb, while she confined herself to a relatively warmer corner of the shed. Now she desperately wants a proper shelter before the monsoon, which will be followed by winter. Another resident of the village, 30-yearold Nisar Ahmed Dar remembers spending two months in a school with his wife and three children after his house was submerged. He still has no house. There was no food for a few days, nor medicine. When he returned to his house after water had receded, he found it had collapsed. His four cattle heads had drowned and his boat was broken. Then, the Jammu and Kashmir government reached out to him with a relief of Rs 6,300. “This is sheer mockery of the pain I have gone through,” says Nisar. “This is not enough for even fodder for the remaining cattle.” Floods had destroyed the ripe paddy crop in the region. People in the village now purchase paddy as fodder for Rs 25 a kg from Vanipura, 50 km away. Barely 75 of the 250 cattle heads have survived the flood in the village. Nearly 200 of its 500 houses have collapsed. All the homeless are living in tin sheds that were put up with the help of civil society groups and a small amount the government gave. Like Palhalan Ghat Pattan, more than 700 villages in Kashmir were submerged in September last year and over 92,000 cattle heads perished, as per government data. The flood was the most severe in the valley in 109 years and claimed about 300 lives (see ‘In a tragic state’, Down To Earth, October 1-15, 2014).The most affected districts included the summer capital of the state, Srinagar, Anantnag, Baramulla, Pulwama, Ganderbal, Kulgam, Budgam, Rajouri, Poonch and Reasi. At least 13,000 families are still living on rent in the valley as they have lost their houses. Nearly 200,000 houses were fully or partially damaged in the flood, according to the state Economic Survey 2014-15. “The flood affected everybody and all sectors from agriculture and trade to livestock and tourism,” says Mohammad Yusuf Chavni, chairperson of the Houseboat Owners Association. 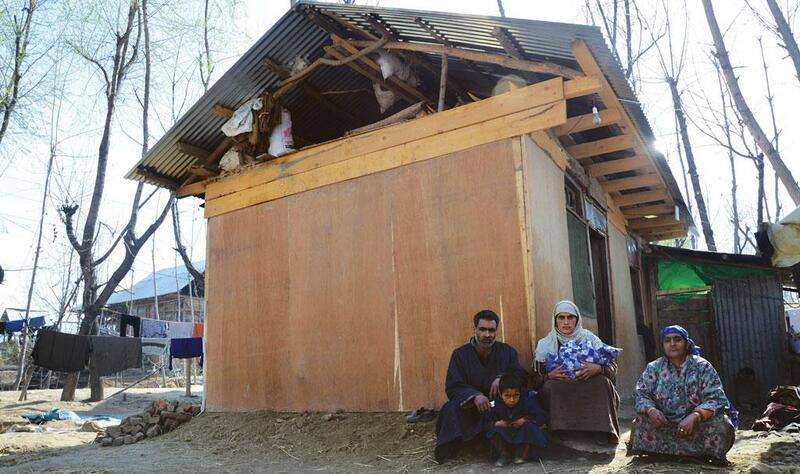 According to Chavni, 16,000 houseboats collapsed completely and Srinagar is left with only 1,950 houseboats. Pulling the state back from such a setback is a big challenge. But the state and Central governments’ response has been far short of it. After releasing an immediate relief of Rs 1,100 crore, the Central government did not release any big amount for a long time, saying the method of estimate was unscientific. Nine months later on June 16, it announced that it would release Rs 1,667 crore. It is a pittance considering the current Jammu and Kashmir government has sought Rs 28,000 crore for reconstruction and rehabilitation. This amount is still less than Rs 44,000 crore demanded by the previous Omar Abdullah government. Mohammad Yaseen, chairperson of the Kashmir Economic Alliance, goes a step further and says the loss could be to the tune of Rs 1,00,000 crore. “The money to be released is a humiliation to Kashmiris and unfortunately the suffering will prolong,” says Sheikh Ashiq, president of Kashmir Chamber of Commerce and Industry. Most people Down To Earth spoke to agreed with him. The delay in rehabilitation is partly political, says Hilal Mir, associate editor of Kashmir Reader, a leading newspaper in the valley. Former chief minister Omar Abdullah kept delaying the process because of state elections, he alleges. Harsh winters, Assembly elections and then the absence of government in the state for two months also slowed down the administrative process. In February, a team of World Bank visited the valley to estimate the loss. In the beginning of June the World Bank approved $250 million (Rs 1,600 crore) for the reconstruction of public infrastructure in Kashmir. However, the Central government is yet to finalise the amount to support the state’s rehabilitation work. Officials from the finance ministry and niti Aayog are expected to visit the state to discuss the proposal. “If the Centre begins estimating the damage again it will only add to the delay while the situation on the ground worsens,” says Shujaat Bukhari, editor of Rising Kashmir, another leading daily in the valley. Nine months have passed and little has been done on the ground except disbursement of token money as immediate relief. The state government’s own estimate shows 1.25 million families have been affected. No relief has yet been provided to those who lost crops. It has given Rs 75,000 to each family whose houses were fully damaged and Rs 3,800 each to those whose houses were partially damaged and Rs 1,500 each for damaged cattlesheds (see ‘Loss and peanuts’). The state government admits it is peanuts and has urged the Centre to fix Rs 9 lakh as compensation for fully damaged houses and Rs 5 lakh for partially damaged houses. Rehabilitation, though urgently needed, will not be enough. To avoid floods the valley will have to put its drainage system back in place. In March, a flood alert caused panic among the people. Mohammad Shubhan Labhan, a resident of posh Rajnagar locality in Srinagar, rushed to a nearby bridge with his family and spent two nights there. After incessant rains people began shifting their belongings to higher stories. “This time also the chief minister came and told us to shift our stock from shops to some secure place. Is it a joke?” asks Din Mohammad Matto, president of the traders’ association in Lal Chowk, the commercial centre of Srinagar. He says almost 90 per cent of the city’s drainage system has failed because the government does not take care of it. Earlier, the Jhelum river passing through the city was dredged from time to time but this does not happen now. 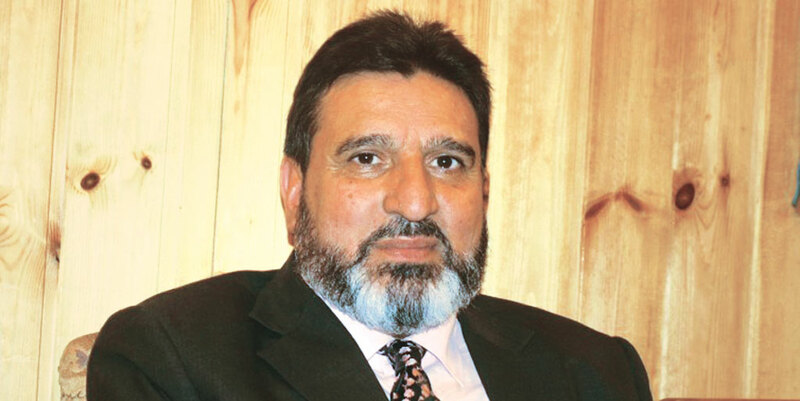 Altaf Bukhari, flood and irrigation minister of Jammu and Kashmir, agrees that encroachment of floodplains and silting of the river made the flood devastating. He says that while building flood channels will take years, the administration will soon begin removing encroachment and dredging (see ‘We did not act smartly’). Kashmir has been prone to floods in the past. How was this flood different from others in history? In general, the layout of the Kashmir valley is such that it is highly prone to flooding. The hydrographic features and the drainage characteristics of the Jhelum river system establish that the frequency of floods has been very high ever since the valley assumed its present form after draining out of the ancient Karewa lake, the Satisar. In recent history, we have had extreme floods of higher magnitude in the Jhelum. However, the economic and infrastructure losses during the 2014 flood were unprecedented. This is because of the reckless urbanisation of the floodplains during the last three to four decades. Shrinking of most of the wetlands in Kashmir valley, deforestation, urbanisation of floodplains and siltation of water courses has degraded the ability of our environment to absorb excess rainwater and, thus, increased the vulnerability of the Jhelum basin to flooding which is manifested in the frequent flash floods and water-logging observed in the floodplains of Jhelum, including the Central Business District (Lal Chowk) after just a few centimetres of rainfall. Most of the housing colonies built in the floodplains of Jhelum and along the Jhelum river course were regularised by successive governments, encouraging the conversion of the remaining wetlands in the Jhelum basin to built-up enclosures. The wetlands, which used to act as sponges during flooding, have been urbanised and converted into a concrete landscape. Most of our wetlands and water bodies are fighting a losing battle for their survival. You have said several times that Kashmir will become vulnerable to another flood in the near future, once it faces a big flood like the one last year. Please explain. The last 100 years of flood data on the Jhelum shows that we have always had a small flood within a year or two following a large flood event. Therefore, the probability of flooding this year and the next year is high due to high groundwater levels and baneful storage of the lakes/water bodies and wetlands in the Jhelum basin. We have already had two flood alerts this year and we may have a couple more till next year, if we receive even half of the rains that we received in September, 2014. However, this will be a small flood in all probability. What should authorities do to minimise the Valley’s vulnerability to floods? Considering the fact that absolute protection from extreme flooding is not possible, a list of intervention priorities is needed to reduce the risk, based on comprehensive understanding of the causes and consequences of flooding. In addition to long-term measures, we need to immediately set up a Flood Early Warning System for Jhelum. I would strongly suggest that the government commission a scientific study to investigate all relevant aspects of the 2014 floods so that the knowledge from this study is used to guide the future strategies for flood mitigation. We need to develop and establish a culture of disaster preparedness in the state. Traditionally, Kashmiris would avoid flood-prone areas for housing, but recently, people are constructing houses in the most vulnerable areas and putting themselves at great risk. Further, the government needs to come up with the floodplain regulation Act to regulate construction activities in the floodplains. There is a need to include disaster-related curricula at the primary level of education to inculcate the spirit of disaster preparedness and management in people from a young age. There is also an urgent need to institutionalise disaster management in the state by setting up a vibrant and structured State Disaster Management Authority. What, in your view, caused such a devastating flood in the first place? The main reasons are encroachment on river banks and lack of desilting of rivers. We did not act smartly. We constructed colonies and other structures on the banks of the Jhelum. No work was done on flood channels. If we do not create flood channels, where will excess rainwater go? Has a proper study been done to understand the exact reasons behind the September 2014 floods? No study has been done at the official level. But many people have been trying to understand the reasons. A few documentaries have been made on the subject and we think these are close to the reality. It is clear that this is all because of mismanagement. And we can take preventive measures. Now, we are forcing people to leave encroached areas. Has any deadline been set? Whatever challenges come our way, we will remove all encroachments within 180 days. Very soon, we will start dredging of rivers and existing flood channels. We know that constructing new flood channels will take at least three years after approval but we need immediate solutions as precautionary measures. The whole administration has been on its toes for the past eight months, moving to this or that area to support people affected by the floods.